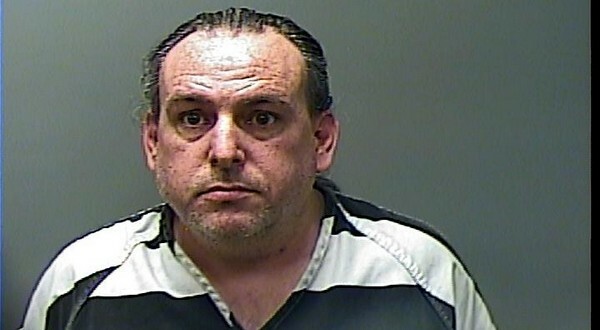 A Clarksville man is accused of sending threatening emails to current and former Baxter County officials. According to Baxter County Sheriff John Montgomery, 45-year-old Michael Curtis was booked into the Baxter County Detention Center Wednesday on two felony counts of first-degree terroristic threatening and another felony charge of threatening a judicial officer or juror. He is being held in lieu of $50,000 bond. Curtis was served in Clarksville Oct. 24th with ex-parte orders of protection against him in Baxter County by his daughter and ex-wife allegedly prompting him to send a flurry of emails to the Baxter County Sheriff's Office. Curtis referred to himself repeatedly as "King Michael Thomas Curtis" in the emails, and Montgomery says they were mostly harassing in nature and incoherent in content. Two of the emails made direct and specific threats to have Sheriff Montgomery, former sheriff Benny Magness and the Baxter County district judge executed. The emails also reportedly referred several times to President Donald Trump giving him orders and directives to have the executions carried out. The orders of protection were made permanent at a district court hearing Friday. Curtis did not appear in that hearing. The Baxter County Circuit Court granted sheriff's investigators an arrest warrant for Curtis on Tuesday, and a copy was sent to the Johnson County Sheriff's Office with a request to assist in taking him into custody. Curtis was arrested Tuesday and transported to Baxter County Wednesday. The United States Secret Service was also provided with all information in this matter and assisted with the investigation.